Designed to maximise the performance of Statement but equally at home in 500 Series and Classic Series systems, Super Lumina pre to power amp interconnects are available with DIN to XLR, and XLR to XLR terminations. Super Lumina source to preamplifier interconnects are available with DIN to DIN, DIN to RCA, RCA to RCA and XLR to XLR connectors. Super Lumina interconnects are designed to minimise the effect of external and internal interference sources and preserve maximum signal fidelity. The Super Lumina interconnects feature an advanced version of Naim’s patented Air-PLUG technology first introduced for the Hi-Line. 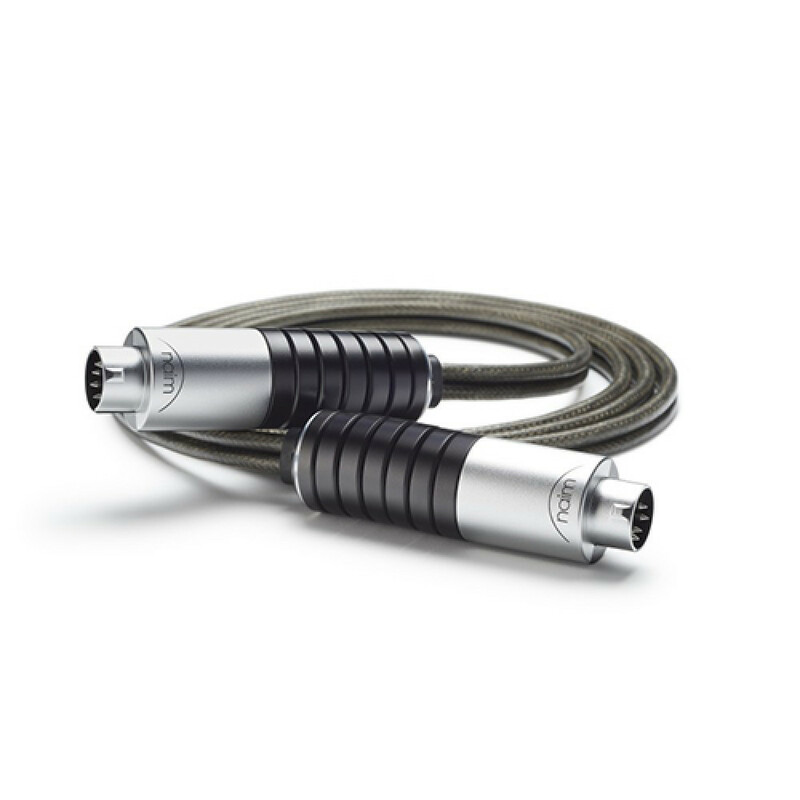 All DIN and XLR connectors use the Air-PLUG connector which is designed as a decoupling device to minimise microphonic interference and preserve the integrity of the audio signal. The new Super Lumina Air-PLUG features multiple individual aluminium rings which form the rear of the connector. These are screwed together to form an articulating section which inhibits the passage of unwanted energy, the choice of aluminium as a material enhances this process. The connector pins on DIN terminated cables also float within their sockets, extending the decoupling effect right to the point where the signal enters the product.